ADVISORY: Please be guided about the application cut-off for the E.T. Yuchengco Scholarship Examination for Undergraduate students. 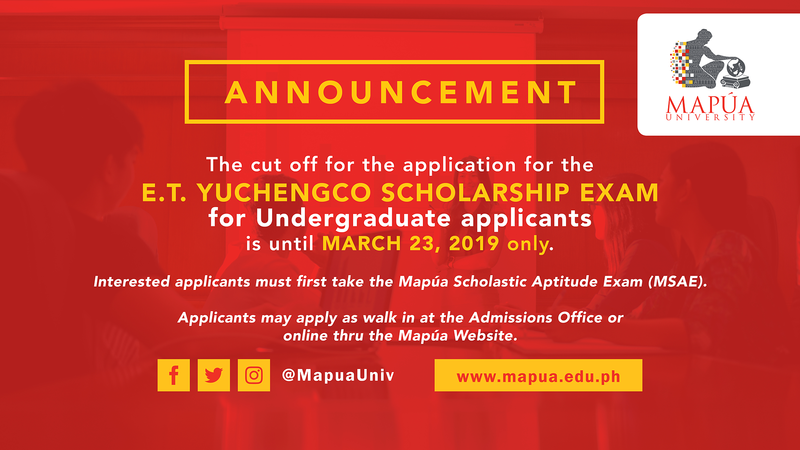 Those who are interested may apply as walk in at the Admissions Office or online thru the Mapúa website at bit.ly/MUScholarships.